The mechanical pulverizer is a cost-effective way of demolishing concrete structures and processing concrete on site, reducing transport cost and increasing productivity. Simple installation, no hydraulics needed. Direct-mount and coupler styles available. 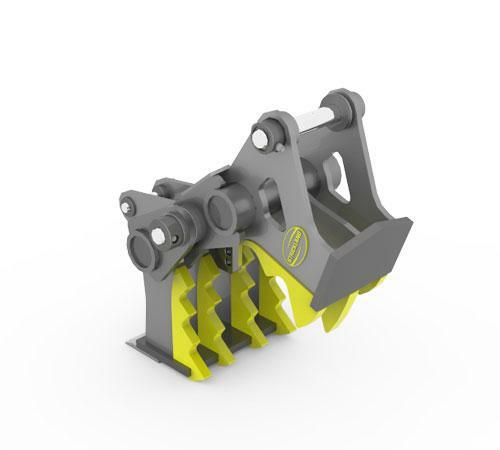 Replaceable four-way rotatable rebar cutters as standard equipment.